The growing community shows signs of exceptional potential. Most apartments are now filled around me and it is nice to have neighbors at last. A great location with roads that have shortcuts to anywhere I need to go. I have made this space my home and it is cozy and beautiful. So happy you are enjoying your home, Steven! Yes - we certainly have much to offer throughout our neighborhood - we are glad to see you're taking advantage. We're happy to have you! So far it’s pretty great here. The staff is friendly. On move in day I was gifted with a tea cup with the neighborhood name, a hat, and a metal straw. An amazing choice going with Alta Brighton Park. We love all the amenities this place had to offer. Very welcoming! Our puppy loves the treats provided over at the leasing office area! Thanks Kalan! So glad you and your pup are here and that you are enjoying our community. We'll see you at our upcoming events! Enjoying our 1st week at Alta Brighton Park! Beautiful townhome, great staff, and our pup is loving it! We are excited to be in Nexton community!! Thanks so much, Crystal. We are happy to have you and so glad you and your pup are enjoying our community! We just moved here a few days ago and it’s so peaceful. The managers here are great and always so helpful and accommodating. The amenities are great and there is such a variety of different things to do! I can’t wait to see what the future holds. Thank you so much Dawnisha! 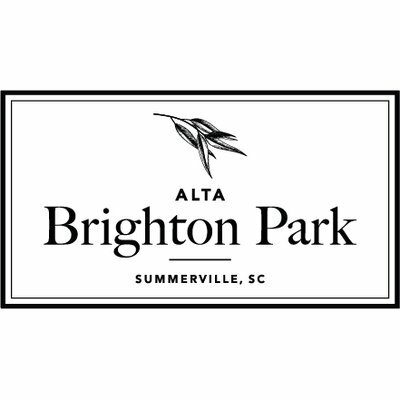 We are so happy to have you at Alta Brighton Park and look forward to seeing you at upcoming community events! I am so pleased with our new home here! ALL of the leasing staff were so helpful and made our transition here painless! We look forward to meeting some of our neighbors and being involved in the community! Thanks for your review, Barbara! We are glad you are enjoying your home and our team! We look forward to seeing you Friday at our Weekend Wine Down event! I have only been here a couple of days, but I can already tell I’m going to love it! I truly feel like I live in a resort- so many great amenities. The apartment is so spacious, we have room to store everything we own. I am so happy with our decision to live here. Thank you to everyone who helps make this place awesome! The application was very easy. Apartments is very nice. Dawn is very helpful.i love the pool area. I have a one bedroom and my kitchen is big and pretty. We're happy to have you, Faith. Thanks for your review - we love hearing that our residents are enjoying our community and our team! So happy to have you, Stefanie! Thanks for the compliment of our team - we love what we do and it shows! So glad you are loving it Andrew! Enjoy your new neighborhood - we are happy to have you. We love Alta Brighton park because of the quiet yet convenient area it's located in. Very close to all of our favorite stores, but still off the beaten path so to speak. Thanks so much, Emily! We are happy to have you here and appreciate that you are loving our location. Very nice place to live. I like the clubhouse with the gym and pool, it's a very nice place. The apartment is also very nice with enough space for two. Thanks for your review! We are glad to hear you are enjoying our community and your new home! Hope to see you at our upcoming events! We have never lived in a town home or apartment but so far our experience has been great!. Alta Brighton Park staff has been fabulous. Everyone has been very welcoming and helpful. They also respond to any questions in a timely manner. Very kind of you, Mary. We do our best to provide a great customer experience. We are happy to hear you're enjoying your time at Alta Brighton Park! Love how comfortable and welcome I feel. Nice friendly neighbors and staff. Summerville is a lovely town to live in. Enjoy the events sponsored by the facility. Mary, thanks so much for the review. We are happy you feel welcome here. Hope to see you tonight for St. Patty's Day trivia from 6 - 8! Grounds are always kept very clean. Very nice community and very nice staff. Always ready to assist you. Enjoy the monthly socials and the vendors they bring in. Thanks so much for your feedback! We enjoy bringing in local vendors so it's good to know it's well-received. Hope to see you at trivia night this Friday! Outstanding staff! Agents took their time to show us multiple homes until we decided we found the right fit! Love clubhouse and the beautiful design throughout the community. Staff made our move in process easy and followed up to make sure we had everything we needed. Highly recommend this community. Really appreciate your kind words, Shannon. We do our best to make the move in process seamless - glad it's working! We hope to see you at our trivia night this Friday! Thanks so much for the great feedback, Scott. We do all we can to present a well-maintained, welcoming community. So happy to hear you are enjoying it! Hope to see you Friday for trivia night! Great location, great staff. Love the events for residents! New amenities took a while to get up and running, but now that everything is coming together - it’s going great. Thanks so much for the review, Shannon. We're glad you're enjoying the community. Construction definitely gets delayed at times and can get frustrating - thanks for being patient! Thanks so much for your feedback, Demerious! We love having you here and we're glad you are enjoying the community. Hope to see you at the Weekend Wine Down tonight! Very friendly staff. Love the clubhouse and pet friendly atmosphere with pet treats. Would love a doorbell on multi floor units. Great walking paths. Thanks for the lovely review, Tonya. We are glad to hear you are enjoying the community! And what a great suggestion - we will certainly talk to our developer about the possibility of installing doorbells! Thanks for your lovely review, Dana! We're glad you and your family are enjoying your community. We understand the main portion of the clubhouse becoming a rentable space is an adjustment, but you definitely still have the fitness studio and library/Starbucks bar available to you 24/7! Thanks so much Sheila! We're glad you're enjoying the community and our amazing maintenance team! Great community with plenty of amenities. Plenty of sidewalks for taking a strI'll with your pets. The close proximity to I-26 makes it very convenient to shopping in other parts of Charleston. Thanks Patrick! We're happy to hear you love our location and all of the 50+ miles of walking trails Nexton has to offer! I feel like staff initially are very nice and friendly when trying to sell an apartment however, once you move in things aren’t the same. Also, I feel like before coming to assumptions you should hear out both sides of each story before reprimanding anyone. I was told I have to get rid of my dog or move apartments... because the guy below me was complaining of noise. I was told to video my dog to prove she isn’t a “nuisance”. That to me was not handled appropriately at all... it angered me more than anything. Was told if dog poop was left on the ground it gets tested with a $350 fine but I’ve seen several mounds of poop including one that was on the side walk that has been there for like ever... Otherwise, everything else is fine. Hi Amber. We are sorry that you feel this way about the office team! We certainly didn't mean to come across accusatory with the noise complaint received. We are the middle man in these situations which is why we did contact you for your side of the story. As you can imagine, having evidence certainly helps our case and yours, which is why we wanted video on file. We apologize if it came across negatively. Regarding dog feces on the property, PLEASE let us know if you see any that we miss. We will always come pick it up to send in for sampling! We want our community to stay clean and beautiful! Upon my move-in (which was solely based on it fitting my needs at this time), I quickly learned that the good customer service experience I received was not simply the standard but, viewed as a favor/courtesy to potential residents. My apartment was not ready as there were visible cracks and I was displeased and expressed that which was received as a huge inconvenience for the staff. There was little to no attention paid to preparing the apartment for my move-in. In addition to the crack there was paint smeared on the floor, dust on fixtures and mounts of dust on window sills, and paint on carpet just to name a few items. I gathered the impression that I was expected to take what I was given after all I had signed the lease. I decided that I would go with the apartment that was lesser because it didn’t have obvious damages. Then, was told I needed to pay more. Any reasonable person could find charging someone more for an apartment that they have settled on because their initial choice was not ready is completely unfair and absolutely wrong. I expressed that I felt like I was being taken advantage of and not being worked with as I was trying to find a amicable resolution to honor my move-in date. And, that’s when I learned that the customer experience had been viewed as a favor/courtesy to me as it was stated to me that they’ve done nothing but “work with me”. Up to this point, I was simply a prospect that wanted to view the units of interest a couple of times that would reach out as I needed to with questions and finally to confirm my interest in the community/apartment of choice. There had not been in exceptions, special offers, or concessions that were made on my behave that would have warranted that response. In the end the surplus for the apartment was retracted. Then, during my walkthrough I informed the consultant that I had my own ceiling fan and I wanted to confirm that there would be no charge for installation which she confirmed as accurate. Then, I returned home some time after that conversation to see a ceiling fan had been installed other than the one I had purchased. I went to the office to inquire only to learn that I would be charge because it’s a fan that was purchased from the builder or they could remove it because there had been a misunderstanding. Installing a fan to uninstall then reinstall the proper fan was such a huge waste of maintenance’s time. Either the consultant truly misunderstood “I have my own ceiling fan that I would like to have installed” and gathered that I want to pay $150 for a ceiling that should already be included or it the work order was improperly written for maintenance but, either way when I had the conversation with the office concerning the fan I was met with skepticism that I had actually purchased a fan and was in possession of my own fan. It was actually stated to me that it may have been misunderstood by maintenance because “people don’t usually have their own fans”. I was confused by that statement because it’s an option that was offered to me so, why would someone find it unbelievable that a resident would elect the option to have his/her own fan installed. My move in experience could have been improved with the change of the way the staff views the job requirement of providing customer service as a priority and passion not a favor to the customer, by walking the apartments before customers move in date, and adding a cleaning crew to the “make ready” team to clean the apartments properly. Despite the rocky experience I’ve had thus far the apartment does meet my current need and that deserves to acknowledge. I hope that my experience improves going forward and served as a learning opportunity to improve future move in experiences. We're sorry to hear of your dissatisfaction with your move in procedures. Please reach out to our manager, Dana Jiles dana.j@woodpartners.com if you would like to have a further conversation. We certainly do not want you unhappy with your living situation and would like to make things right.